Lincoln County residents enjoy the mountains and forests in our backyard. While much of Lincoln County is ranch land and privately owned, the Federal Government including the USFS, BLM, as well as the NM State Land Office manage significant portions of public land. This public land, including the Lincoln National Forest surrounds several of our mountain communities. New landowners in Lincoln County should be aware of the inherent wildfire risk in our mountain communities. The Ponderosa Pine and Pinon Juniper forests that surround our communities have evolved with wildfire and historically have experienced regular low intensity wildfires. This low intensity wildfire was beneficial, and acted to clear leaf litter and underbrush while maintaining mature, open, park like forests. Because of changing conditions, development, and past management practices, our forests are more crowded than they once were which can contribute to larger, higher intensity wildfires that now threaten our forests and communities. 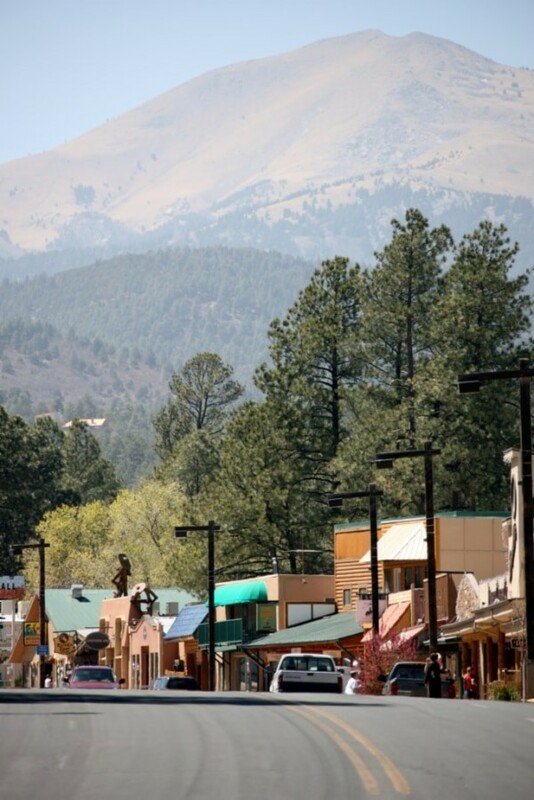 European settlement of this area began in the mid 18th century, and the community of Ruidoso and outlying areas have experienced significant development in the past 50 years. This development combined with changing conditions and wildfire risk has created a complex and potentially dangerous wildland –urban interface (WUI), that as a community we must deal with. While few would consider much of Lincoln County to be ‘urban’ by definition, it is the close proximity of the forest to many home sites, that poses some unique risks. While the risk for wildfires and other natural disasters cannot be eliminated, landowners can take steps to reduce the risk. Land management agencies including those noted above have implemented numerous hazardous fuel reduction projects to reduce wildfire risk and improve forest. Additionally these efforts have helped stimulate the local economy and have provided several outlets for biomass utilization as well as address the concerns of the community. It is recommended that private landowners do their part managing their own property to encourage healthy forests and reduced wildfire risk. There are several opportunities landowners can take advantage of to prepare for the eventuality of wildfire to better protect their homes and our community. The National Firewise program has numerous suggestions on how to protect homes by using fire resistant building materials and by implementing defensible space around homes. Defensible space is a concept that recommends creating a buffer between a building on your property and the grass, trees, and shrubs that surround it to reduce the potential for structural ignition. This can be as simple as mowing the grass or moving the firewood pile from under your eaves to using fire resistant building materials or landscaping. The Ready-Set-Go program helps homeowners prepare for wildfire related evacuations and to plan defensible space buffers. The State and County support a wildfire cost-share program which reimburses landowners who thin their property. Landowners can contact New Mexico State Forestry Capitan office (575) 354-2231 for more information. Local foresters can provide both technical advice and or financial assistance for landowners interested in managing their forest. Is your Home Safe from a Wildfire?